Bring your business closer to the community you serve. Your target customers are our customers. 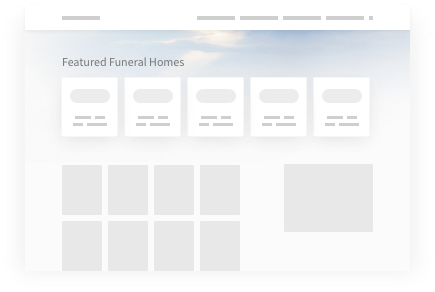 Answer their call when they are searching for funeral services in your community with our highly visible "Find a funeral home" featured section on our landing page.